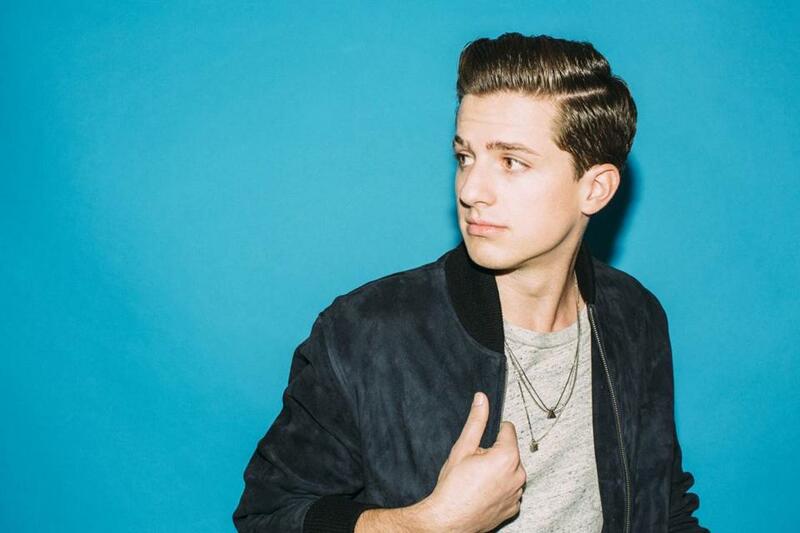 Charlie Puth opens for Meghan Trainor Thursday in Boston. The faculty and staff at Berklee College of Music are justifiably proud of Charlie Puth, one of their most recent products. A little more than a year after earning his undergraduate degree, the young songwriter sings the hook on one of the songs of the summer — “See You Again,” his ubiquitous collaboration with his friend Wiz Khalifa — and has been piling up more hits with Jason Derulo, Lil Wayne, and Meghan Trainor. Just don’t tell his Berklee mentors how little time Puth, 23, actually spent in their classrooms. “I skipped class a lot,” he admits with a laugh, on the phone from Los Angeles, where he’s preparing for a joint tour with Trainor that will pull into the Blue Hills Bank Pavilion on Thursday. Just as Puth steered clear of the classroom in favor of his Tin Pan Alley brand of song peddling, he’s not a big fan of the recording studio. Though he majored in music production and engineering, he’s never written a song in a studio, he claims: They’re all done in his bedroom, on his laptop. He writes especially well with Trainor, the bubblegum singer from Nantucket (“All About That Bass”) who has become a BFF just half a year since they first met. She appears on Puth’s debut single, “Marvin Gaye” (“Let’s Marvin Gaye and get it on”). A day before this interview, they’d cranked out another new song together on the tour bus. That song, which also features Keith Urban playing Puth’s original chords, came together on an aimless drive in a rural region of New Jersey. “There were, like, tumbleweeds,” Puth says. “A lot of people don’t know, but New Jersey has, like, 700,000 acres of farmland.” The view through the windshield inspired him to write a song that combines a bass-heavy trap rhythm with country music. Though Puth describes his own style as a mix of One Direction-style pop and “straight-ahead” hip-hop, he’s quickly proving himself capable of just about anything. While in sixth grade, he recorded and burned copies of his own holiday CD, and made about $600 selling it door-to-door. “It was called ‘Have a Very Charlie Christmas,” he says. “I printed out all these CD jackets using Microsoft Word 97. I can’t stand to listen to it now,” he says with a laugh, though his mom still hauls it out every December. In high school, Puth spent his Saturdays commuting to Harlem to study jazz and classical at the Manhattan School of Music. What he really wants to do, he says, is set his idol James Taylor’s fingerpicking guitar playing to a hip-hop beat. “I think that would sound cool,” he says. Puth is from Rumson, N.J., where Bruce Springsteen lives. Right down the street, in fact. “He’s my neighbor, and so is [Jon] Bon Jovi. My mom knows him pretty well.” As he mentions it, it occurs to him that Springsteen must realize by now that his young neighbor is becoming a pop star in his own right. For all his seeming confidence now, Puth was a nervous wreck when he left home for Berklee. 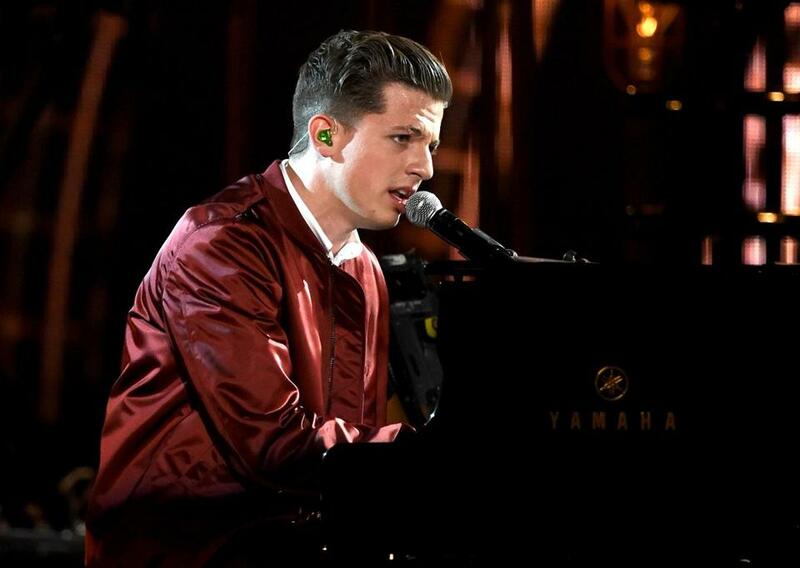 Charlie Puth performed onstage during the 2015 Billboard Music Awards at MGM Grand Garden Arena. Later, on a visit back to Berklee, Mayer gave Puth a little piece of advice he still holds dear. While in Boston, he spent an inordinate amount of time drinking coffee at Pavement and eating burritos at Boloco, he says. He also made a habit of haunting the posh first few blocks of Newbury Street, gazing at the lavish condos and the high-end retail. Part of Puth’s distinctive look, his right eyebrow is permanently scarred where he was attacked by a dog as a toddler. Understandably, he’s not a great fan of big, scary dogs, but he does love little ones. He’s got a Cavalier King Charles Spaniel named Brady. Since he’s hit the limelight, some young fans have taken to shaving a few notches in their eyebrows. Which is weirder, he was asked: fans who shave their eyebrows in tribute to him, or hearing huge crowds sing his songs in unison? Someone will have to get this kid into a studio one of these days. At: Blue Hills Bank Pavilion, Thursday at 7 p.m.